LDN Gaymers Sidequest: DNA VR Arcade! 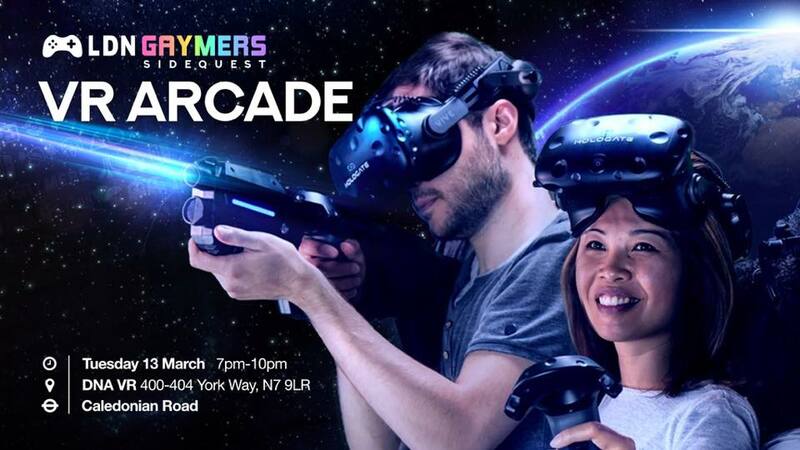 - Gaymers iNC.
LDN Gaymers Sidequest: DNA VR Arcade! The venue can comfortably fit in 25 of us. We were able to get quite a good deal! For 3 hours of unlimited gaming and have the whole venue just for us, tickets are only £30. Our admins will usually approve new members quickly. Then click the Events tab to join this event. Time: 6.45pm for a brief. Tickets coming soon - £30 Join facebook group This is a ticketed event. Please join the Facebook group and get a ticket before going to the venue.